I receive many emails from our guests before they arrive in regards to the conditions and what the weather is going to be like when they‘re here. I usually jump onto www.snow-forcast.com however my observations have found that they tend to always underestimate the next storm and even though I check the predicted fall for the top of Happo-One, it’s often even more than that at the bottom of the resort in Echoland! 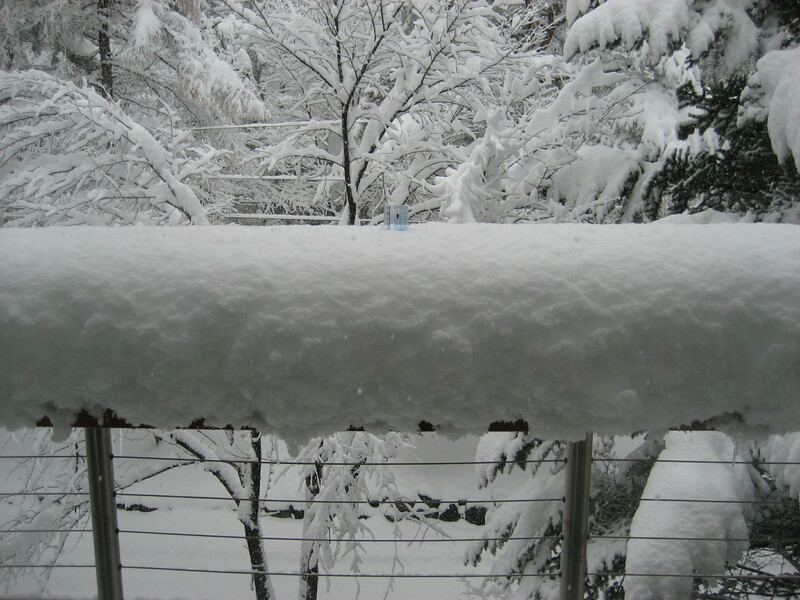 8cm was predicted for the top of Happo-One, yet 32cm fell in Echoland which means around 60cm at the top of the resort! Thanks for your ticket information for Hakuba, It;s real helpful. Where I can find the ski-school price in Hakuba 47? Hi Bob. You can go direct to their website here. I did find this page of website. Still have some questions. Or about the ski and pole, I need to pay extra money? Unfortunately not Bob. You need to pay extra for the gear. Thanks for your answers. I need to consider and modify my budget again. My name is Jocelyne and I would like to come with my husband and 2 kids (9 & 12) next year. When would be the best month to come. I was thinking March? Would that be a good one?